Understanding how capital gains tax affects your profit when you sell your home can be challenging. According to IRS guidelines, it depends on time and money, and it’s not that simple. 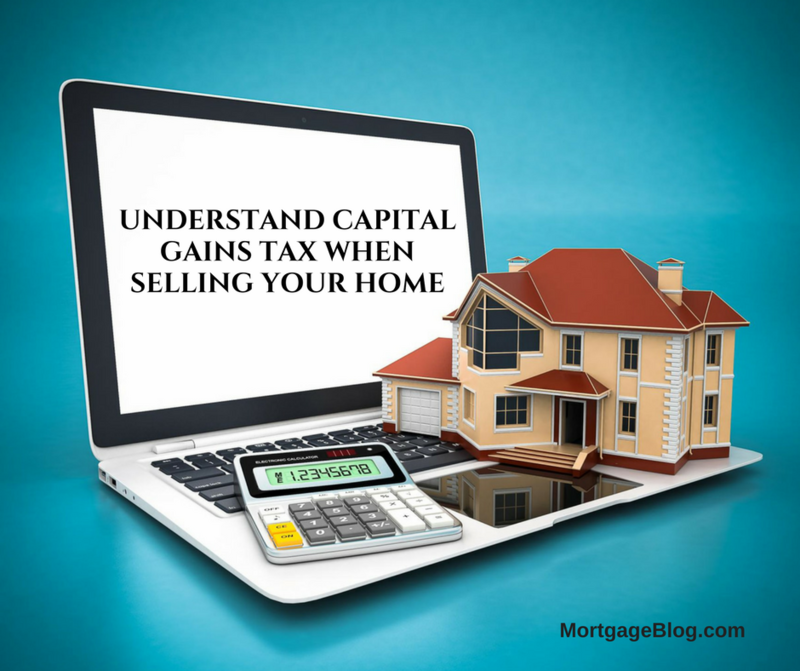 Capital gains tax is a fee you pay when you sell your home for more than you paid for it. But when you sell, the IRS Sec 121: Exclusion of gain from the sale of the principal residence (Sec 121) allows you to make a certain amount of tax-free profit before the capital gains tax calculation. Up to $250,000 in profit if you’re a single owner and up to $500,000 as a couple. To qualify for the exclusion, you have to meet two tests: ownership and use. That means you must have owned your home for two of the previous five years, occupying it as your primary residence. No matter the purchase and sales price, if you make a profit when you sell, this usually applies. How does the IRS calculate the profit? They start with the purchase price of your home and add in qualified expenses incurred when you bought it. These include fees for title search, owner’s title insurance, recording the deed, and county/city transfer tax. If the seller paid any of these for you or paid a fee to lower your interest rate, it’s an allowed deduction from the purchase price. You also add the cost of home improvements to the original cost basis of your home. The IRS rule is improvements must add to the value of your home, prolong its useful life, or adapt it to new uses. Make sure you retain all the records from the purchase of your home and the records of any major remodel or home improvement projects. Other things that can affect the net profit calculation are any tax deductions you’ve taken for energy savings improvements or depreciation for home office use. When you’re ready to sell your home, you can deduct certain expenses from the sales price when calculating your net profit. The real estate commission and any closing costs you cover for the buyer are some of the allowed deductions from the total profit. 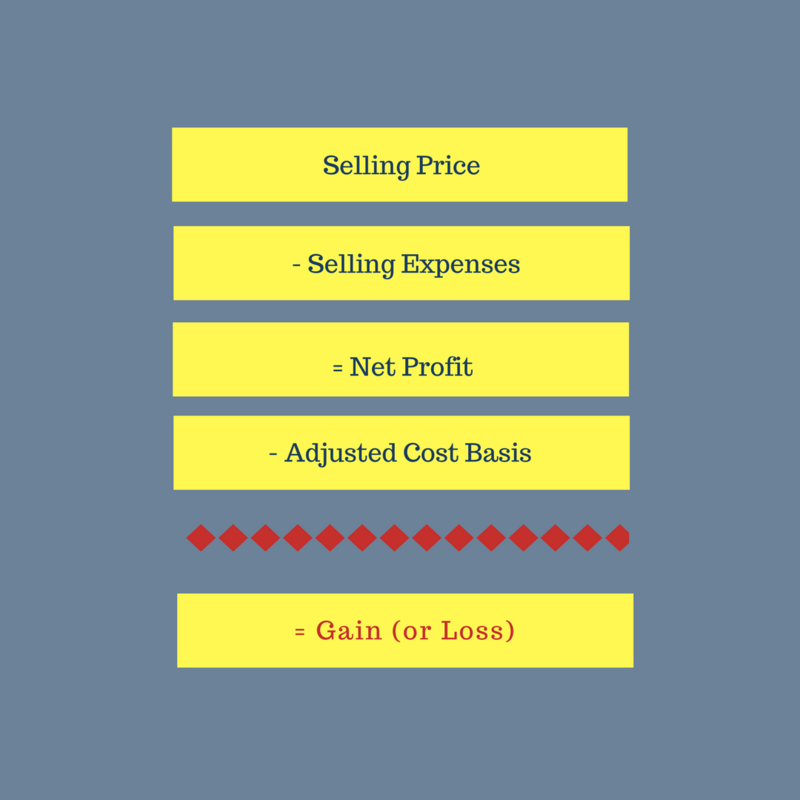 Once the net profit on the sale is calculated, the exclusion is applied if you’ve met the ownership and use tests. If that amount still doesn’t cover all the profit on the sale, the remaining portion is subject to long-term capital gains. Short-term capital gains are only applicable for property owned under one year. For example, a married couple buying a home in 2014 for $800,000, and $7500 in deductible closing costs, would have a basis of $807,500. If they sell their home in 2017 for $1,485,000, paying 6% in real estate commissions and buyers closing costs, their net profit is $588,400. Under Section 121, they qualify for the $500,000 exclusion because they owned and occupied it as their primary residence for more than the required two years. The remaining $88,400 in profit is subject to long-term capital gains tax. If this same scenario were applied to a single owner, the taxable portion of the profit would be $338,400. If you purchased your home when you were single and later added a new spouse to the title, you might still be eligible for the married exclusion if you both meet the use test. In this example, if you owned the home for three years, married your significant other after the first year, you qualify for the full $500,000 if you both resided in the home for at least two of those years. On the other hand, you only qualify for the single exclusion, $250,000, if you married two and a half years after buying the home, and then sold it six months later – right after your new spouse moved in. You would not be eligible for the exclusion gain if you purchased your home via a 1031 exchange. Also if you’ve claimed the exclusion of another home within 24 months of the sale of your current residence, you wouldn’t be able to claim it again. Full details of circumstances allowed exemptions for can be found in the IRS guidelines or by working directly with a CPA. Your CPA can also determine you’re eligibility for a partial exemption. If the main reason you sold your home was due to a change in your workplace location, a health issue or another unforeseeable event, you might meet the requirements for the partial exemption. And if your situation is complex for any reason, take the time to meet with a tax professional before you list your home for sale. Having a clear picture of your tax liability will impact the offer you might accept from a potential buyer, and what you can pay for a new home.